The Farmery is an urban market and farm designed to produce and sell locally made food. The Farmery combines a retail grocery and indoor agricultural systems that raise the value of food by offering the customer an educational and stimulating food shopping experience. Farmery customers can witness and participate in the growth and harvest of the crops and fish they eat. The Farmery grows a portion of the produce and fish it sells, reducing the complexity and costs of locally sourced food by consolidating food distribution. 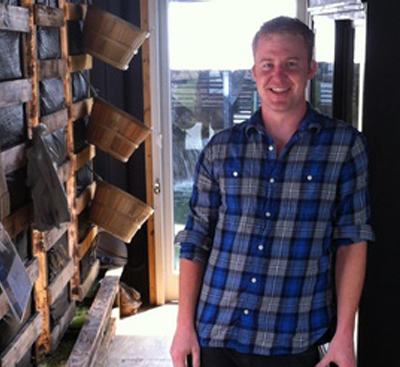 Ben developed the initial design of the Farmery as part of his Master’s thesis project in Industrial Design at North Carolina State University. During the development of the Farmery's growing systems he was a marketing manager and industrial designer for an product development consultancy and power sports accessory brand. Ben is a veteran of Operation Iraqi Freedom where he served as a combat engineer.